" August 1914 " September 1914 " October 1914 " November 1914 " December 1914 " January 1915 " February 1915 " March 1915 " April 1915 " May 1915 " June 1915 " July 1915 " August 1915 " September 1915 " October 1915 " November 1915 " December 1915 " January 1916 " February 1916 " March 1916 " April 1916 " May 1916 " June 1916 " July 1916 " August 1916 " September 1916 " October 1916 " November 1916 " December 1916 " January 1917 " February 1917 " March 1917 " April 1917 " May 1917 " June 1917 " July 1917 " August 1917 " September 1917 " October 1917 " November 1917 " December 1917 " January 1918 " February 1918 " March 1918 " April 1918 " May 1918 " June 1918 " July 1918 " August 1918 " September 1918 " October 1918 " November 1918 December 1918 " January 1919 " February 1919 " March 1919 " April 1919 " May 1919 " June 1919 " July 1919 " October 1919 " December 1919 " February 1920 " August 1920 "
House: No 8, 1913 - 1914. Regiment: Lancashire Fusiliers. Died: 01 November 1918 aged 19 in France. Killed in action. Son of A. P. Wood, Whitefold, Hale. Cheshire, b. 1899. Middle IV A�Lower Modern II. Afterwards at Bowdon College; R.M.C. Sandhurst; Lancashire Fusiliers 1918. 'During the all too short period he was a member of the School, he won the affection of many in the House. He left School long before his time, owing to illness, and his departure was regretted by all. He was a boy of distinct promise, and his early end on the battle-field, fighting for his country, cut short the life of one who had more than an ordinary future before him. He had only been a few days at the front when he met his death while leading his platoon over the top at dawn on November 1st. 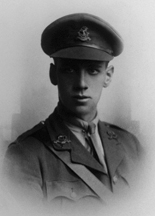 His commanding officer wrote of him as being a most promising officer, possessed of great personal bravery.' (Malvernian, Feb 1919). House: No 7, 1912 - 1915. Regiment: 211 Sq. 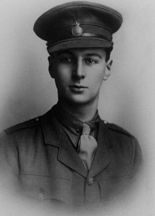 R. A. F.
Died: 04 November 1918 aged 20 in France. Killed over German lines. Born: May 28th 1898, Hither Green. Son of Herbert A. J. Brouncker (Insurance Broker) and Alice Mabel Brouncker, of The Elms, Parkside, Eltham, London and 19 Parkside, Eltham. Great War (overseas), Private London Scottish; 2nd Lieutenant R.A.F. 211th Sqdn. Royal Air Force. 'Notwithstanding his diminutive stature, he was a boy of much grit and determination. 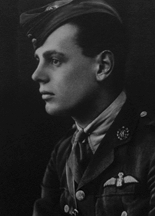 He obtained a commission in the Flying Corps, and was out on duty, acting as Pilot Officer, on November 4th, 1918, since when nothing has been heard of him.' (Malvernian, Dec 1919). House: No 9, 1912 - 1917. Regiment: West Riding Regt. Died: 08 November 1918 aged 19 in France. Died of wounds at Rouen. Battle: Hundred Days Allied Offensive. Cemetery: St Sever Cemetery Rouen S. V. J. 13. Son of H. Stott, Inglewood, Queen's Road, Oldham, b. 1899. Modern II�VI. Chance Prize. Hansell German. House Prefect. Great War, R.F.C. ; 2nd Lieutenant 6th West Riding Regt. 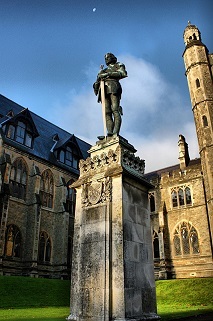 'George Stott from the first, though not destined for the army, was impatient to be serving. His service at the Front was short, only a few months; but sufficiently long to show that he was a gallant officer, and a fearless leader. It was while leading his men in the open on Nov. 5th that he was struck by shell splinters. His case was hopeless, and he died at Rouen Military Hospital three days later. Head of Modern Side, winner of the Chance and Hansell prizes, he promised to have a successful career. His sound common sense, and his ability to arrive at sane conclusions caused him to be regarded as a boy whose opinion was worth having. His good nature and instinctive kindliness invited friendships, and these he had in abundance.' (Malvernian, Feb 1919).